ARE YOU LOOKING FOR BEST YET AFFORDABLE CONCRETER IN PERTH? 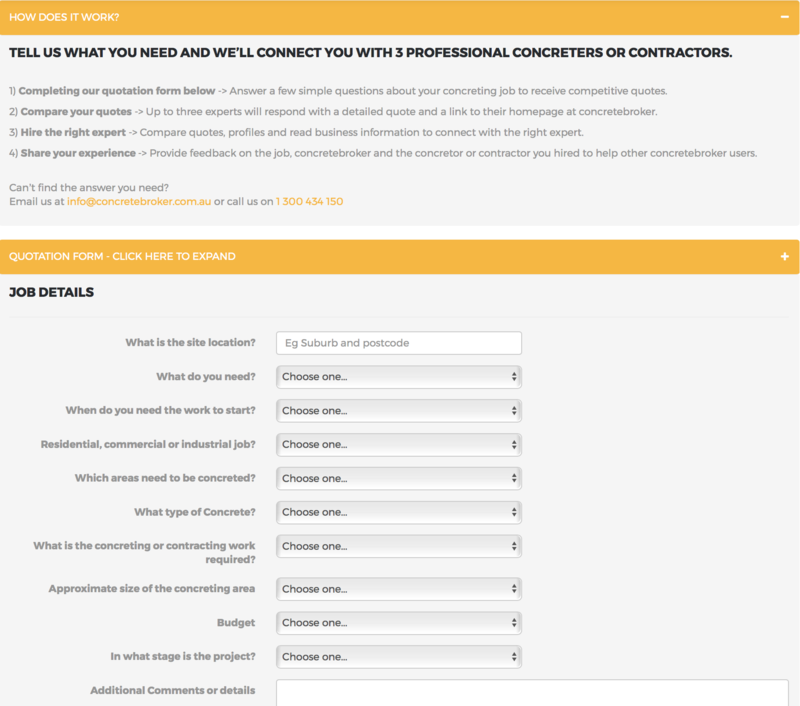 Getting 3 Quotes for your concreters in Perth has never been easier. Simply click our our quote page and away you go. Concrete Broker connects you with 3 concreter in Perth to assist you and it's all for free. Here’s how it works. 3. Compare your quotes -> Up to three concrete experts in Perth will respond with a detailed quote and a link to their homepage at concretebroker. It’s a directory site where customers go to find concreters in Perth just like yours.